Soothe the pain of the constant whiner and complainer with this hilariousCry Baby Loser Trophy! 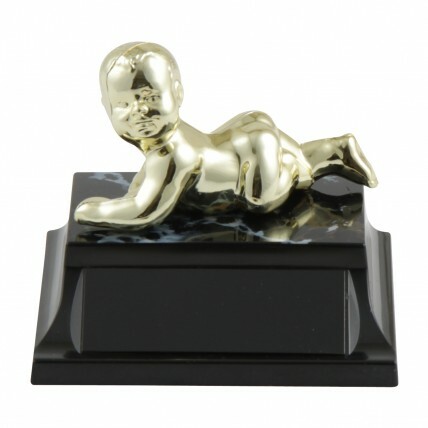 This loser's trophy features a golden baby figure attached to a black base. Engraving is on black brass with gold letters. This best selling fun trophy measures 3.5" tall.